Julie Finlay (Elisabeth Shue, left) and D.B. 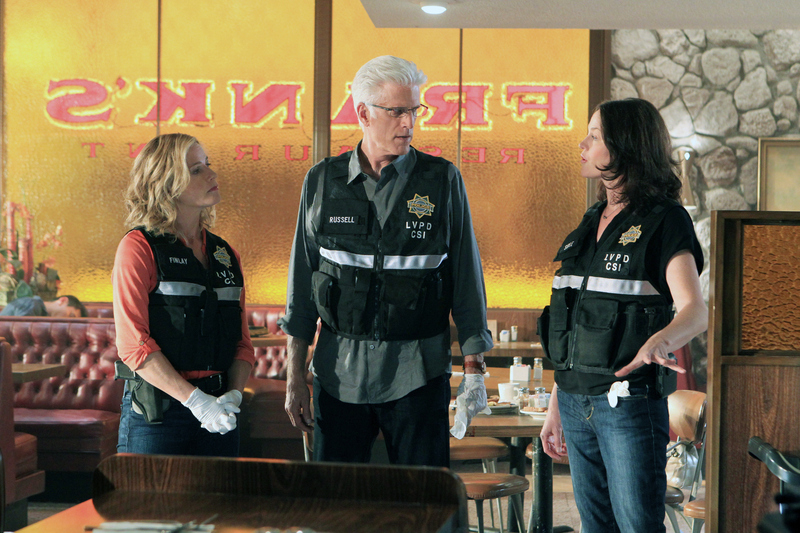 Russell (Ted Danson, middle) listen as Sara Sidle (Jorja Fox) explains what she believes happened at the diner in this scene. Photo: Sonja Flemming/CBS ©2012 CBS Broadcasting, Inc. All Rights Reserved.